Here you’ll find my best Hola VPN alternatives choices for hiding your identity online and other benefits.But before using any of this software here is the basics of what you need to know about these free VPN services, not all free! Many of the VPN providers record their customers’ data over time to determine their usage patterns for advertising purposes. VPN provider can sell its customers’ bandwidth, This free service means is not without consideration. In short, free VPN software can be useful as a quick security solution if you are on a public Wi-Fi network, or if you want to test the VPN concept. Hola VPN alternatives – Why use a VPN? Because it guarantees anonymous surfing on the web. All data is encrypted using algorithms. In practice, it is as if our internet data passed through a tunnel which shields our connection. VPN is virtual encrypted networks that offer total navigation in anonymity, unlike Proxies, they encrypt the traffic between you and the VPN in a way not only will your IP not appear on the site you visit but your ISP will not have any idea what you are visiting or what you are doing. This means being safer when you connect to a public network too, like a wifi in a hotel or an internet cafe. It is possible to access sites that are blocked, as often happens within public networks. I advise you to invest in a paid VPN which will only cost less than $5 per month. In this article, I selected the best hola VPN alternatives 2018, on the measure of speed, availability, takes into account practical uses, costs, and reliability of the service. This is the Best Hola Vpn Alternatives. It works very well if you use public Wi-Fi regularly, this VPN will help you protect your privacy. 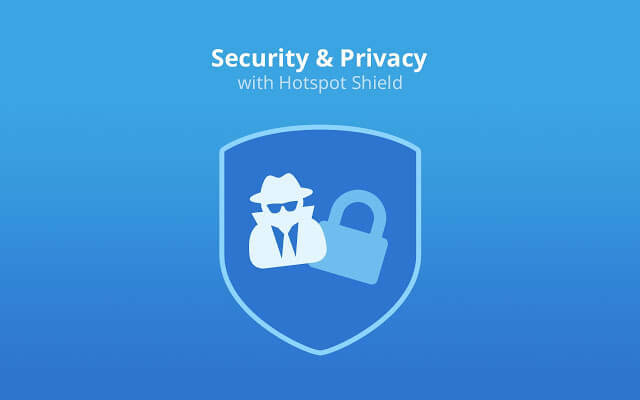 Hotspot Shield offers the option to automatically connect to the VPN every time you connect to a wireless network that is considered “unsafe”, the program offers maximum security to those who work a lot at home or in the office. Online performance seems to suffer a bit when Hotspot Shield is enabled, but the 750MB band per day is generous. HotSpot Shield VPN is compatible with all OS and other devices. It provides you with 10GB of traffic and you can connect to VPNs in the United States, Canada, United Kingdom, Hong Kong, France, Germany, Luxembourg and the Netherlands. If you have a subscription you will have unlimited traffic and 45 servers spread all over the world. Windscribe does not store connection logs, IP stamps, or visited sites when you are actively connected to a server, the information is used to keep track of the data, and the amount of data transferred, but this is not limited to the end of the session. The 10 GB data allocation is sufficient for the free Windscribe service to be a convenient option for daily navigation, and there are several ways to improve it even more. Tweeting on the service earns you an extra 5GB, and you will get 1GB each time you invite a friend to join you. Surely a very good app with an excellent free service, premium low costs. and one of the few that allows you to continue the trial even without signing a subscription. It is also available in the free version that allows you to surf for six consecutive hours, which will automatically be disconnected, but you can reconnect immediately afterward or until you reach 1Gbit of monthly traffic. There are very few applications that provide this service for free. The software is available for Windows, Mac, iOS, and Android. Protecting your identity is no longer easy. TunnelBear is great hola VPN alternatives with excellent free service and a very nice interface, they provide 1GB of traffic per month with over 1000 servers spread across 20 countries. With the monthly subscription that costs very little compared to other services, you have much more traffic available. Create an account, download the software in one minute, log in securely. Like most of the apps listed above, SurfEasy provides both a free and paid plan. it’s a very fast VPN service with a limit of 500mb of data transmission for free accounts.The band cannot be used for Peer2Peer and the transmission limit can be increased, for free users, up to 1.5GB. You can simply increase by sharing the application on social networks. It has an easy-to-use software and is a good VPN if there is a very low network usage and only for non-constant anonymous browsing. Allows up to 5 simultaneous connections. All these VPN services offer free plans for everyone even though they have limited data transmission but it is worth trying. Also, it is a great way to test the service without any rush. Each of the five VPNs can be a great Hola VPN alternatives offering more or less different services. Compare them carefully according to their features and needs.However, to have a high level of security, privacy protection, good connection speed, and quality technical support, and other benefits, I recommend investing in paid VPN services. For a nominal fee, you will enjoy all the features of the VPN whether you are an individual or an entrepreneur, the VPN is more than ever an essential complement to all your computing devices. With a growing cybercrime. VPN is an essential service to secure your computer system and all your devices. Tomorrow, all our equipment, both in the company and at home will be connected to the Internet. The Internet must remain a place of trust. With VPN, you will protect your personal and professional life.